The criminal justice system has failed too many people in Los Angeles. That’s why every individual should have the right to the highest level of legal representation, regardless of the charges brought against them. An experienced criminal defense lawyer will fight for you to ensure that you are treated fairly. There are many types of legal situations that require you to find a lawyer — divorces, buying a home, making a will — but when you’re facing criminal charges, there’s so much more at stake. 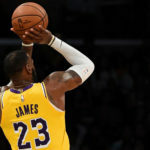 Here are six of the most common reasons Los Angelenos suddenly find themselves in need of the highest level of legal representation, a Los Angeles criminal law attorney. About 10,000 people are convicted of crimes they did not commit every year in the United States.Without proper representation, you could add to that statistic. 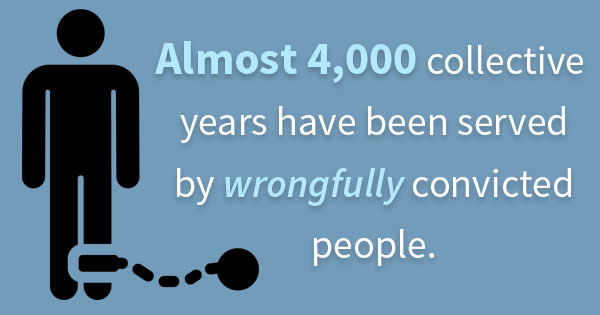 Almost 4,000 collective years have been served by wrongfully convicted people. Don’t think that just because you’re innocent, you don’t need an attorney. If you’ve been charged with false allegations, hire a lawyer to uncover the truth right away. Systematic inequality targets people differently. While a lot of white people smoke marijuana in Los Angeles, people of color are more than three times as likely to be arrested on marijuana charges than white people. While possession of less than one ounce of marijuana is not considered a crime in the state of California, possession with the intent to sell is still a punishable offense. Distinguishing the intent of your possession is often hard to determine. If you’re charged with criminal possession of marijuana, call a drug crimes lawyer in Los Angeles immediately. Sometimes the lines between state and federal law become blurry. While medical marijuana is legal in California, marijuana possession of any sort is still illegal under federal law. If you’ve been charged with federal possession of marijuana in California, hire a lawyer to clear the air. More than one fifth of the adult population has a criminal record. Don’t risk another employment opportunity due to an outstanding conviction; hire an expungement attorney to do right by you. Don’t let one DUI ruin your life for decades to come. Being convicted of driving under the influence in California can have extremely adverse effects, but being charged does not mean that you have to plead guilty without any hope. An experienced lawyer will explore every possible defense. If you have been convicted of two violent or serious crimes, a third conviction can guarantee you 25 years to life in prison. If you’ve been charged with a third strike crime, there are multiple options for defense. However, with the rest of your life on the line, self-defense shouldn’t be one of them. Criminal attorneys can negotiate with the prosecution to avoid a third strike on the the defendant’s record. Regardless of your past, you deserve the highest level of legal representation that Los Angeles has to offer. If you’ve been wronged, call Champion Law Firm today. Your future is too important to wait.